I can't thank you enough for your time, expertise, and how you burrowed in so quickly and effectively to alleviate my concerns and confusion. I'll be mailing the completed paperwork and payment a little later today. It was a total pleasure speaking with you last evening, and I look forward to touching base with you again in early November, so that we can find a plan that will be suitable for me going forward. 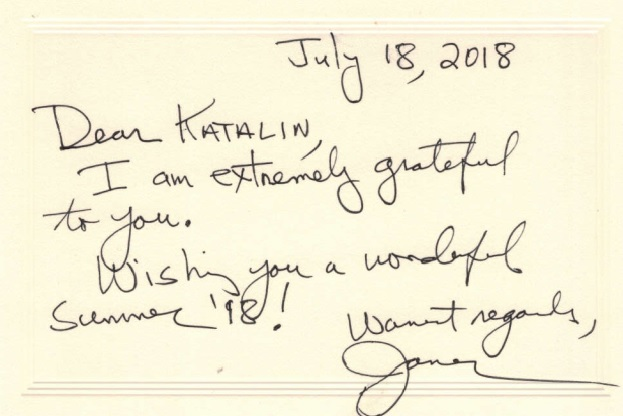 All the best with many thanks,"
Thank you so much for the update and for the incredible amount of work, organization, and persistence that you put in on our behalf. As I hope you know by now, it is enormously valuable to us, both in the reimbursements you have extracted and, in a way even more importantly, in the confidence we gain in knowing that all avenues are being tried and nothing has been overlooked. "Katalin is the resource of first choice I recommend to my clients who have a claims mess or are overwhelmed by claims. The huge gains she wins more than outweigh the modest cost of her service. She creates order out of chaos, reduces stress, and is extremely gentle with clients and aggressive with insurers and medical providers. She too gets decisions where everyone says the situation is hopeless. And it happens due to hard work and meticulous attention coupled with a seemingly bottomless depth of expertise." As a claim assistance professional, Katalin's sole business is navigating health insurance. 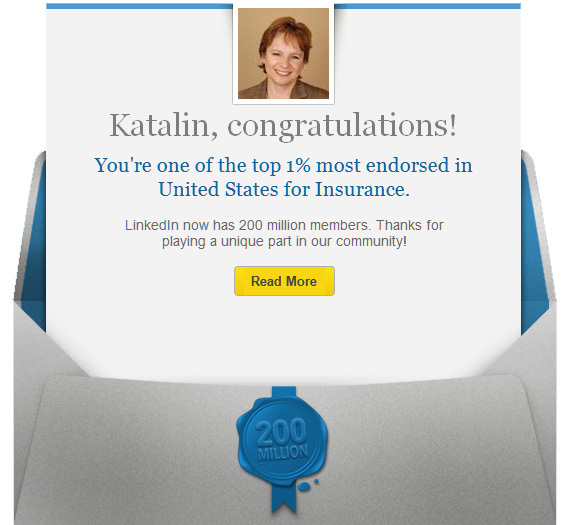 Her ranking in the top 1% endorsed by linked in members for insurance shows her commitment to excellence. Thank you so much for all that you have accomplished on my behalf. You were a pleasure to work with. You were unrelenting in dealing with bureaucries and the dreaded insurance companies. I never could have managed without you! 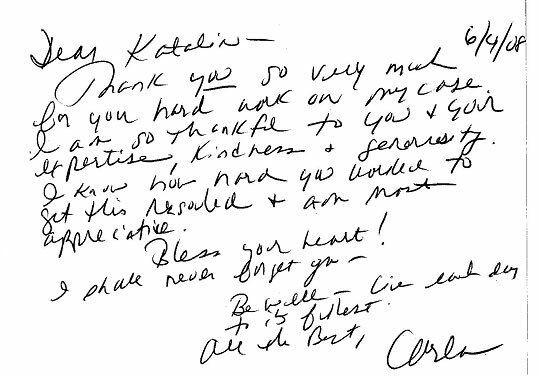 Sincerely,"
In the midst of a year of overwhelming health billings I found Katalin Goencz of Med Bills Assist. 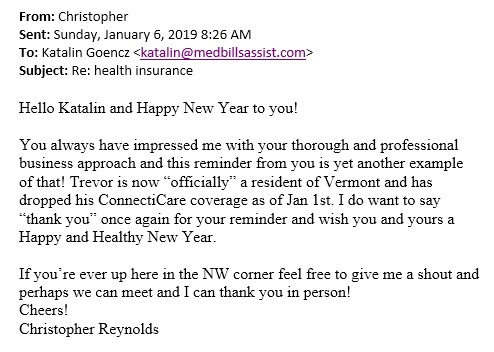 I am now at ease with my health bills knowing that Katalin's understanding of my insurance policies and the maze of hospital and doctor billing procedures is here to help me. She was referred by a competing company. In one year she has saved me tens of hours of frustrating calls. I just send or fax all my medical, optometrist, and therapy bills and by phone or email receive organized solutions and advice. If you self insure for even part of your health care call Katalin Goencz. I was pleasantly relieved of a particularly difficult and annoying chore. And, I was pleased to receive unexpected coverage and unexpected refund checks." My guess is that your job can be thankless at times. So, I am writing to say thanks for the work you do for me, you are a real help and I feel so much better now that I have a competent person to take the enormous weight off of my shoulders. 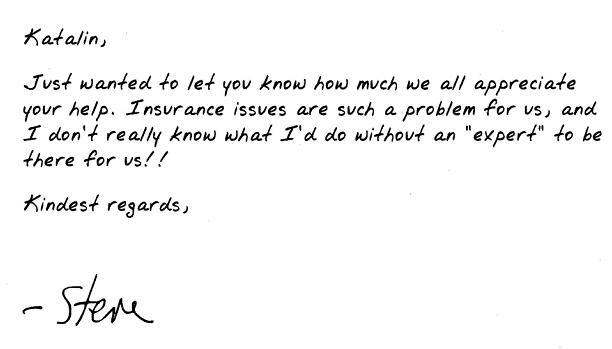 Sincerely,"
I have put off long enough thanking you for the wonderful job you did for me with two major insurance companies. You were able to do in matter of weeks what I couldn't get done in three years. Due to your efforts we had a better Christmas and we are looking forward to the New Year. Your rates are also very reasonable. 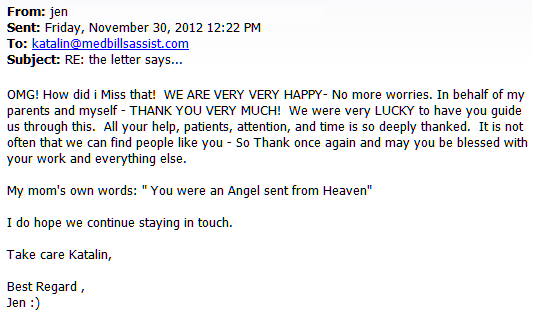 We thank you for a job well done and please use this in your Newsletter if you think the message is of benefit to you." "Katalin is a Medical Reimbursement Specialist. She is absolutely amazing. A petite lady with a strong negotiating power. 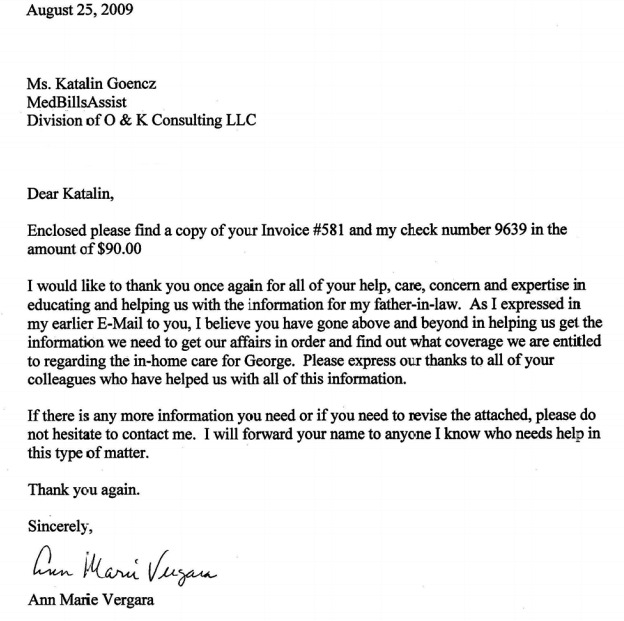 If you are looking for assitance on your medical bills - for negotiating with an insurance company OR you are considering to have any medical procedure done (small or big) OR don't think you should have to pay for a bill that your doctors office sent to you.....then Katalin is the person to go to. She can do wonders from what I learned and by now she knows how to get around those long hold lines with customer service (how can you beat that)".